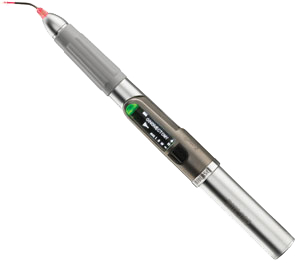 iLase™ is a small laser designed to work on the soft-tissues (primarily your gums) of your mouth. It is an amazing process whereby the soft-tissues can be worked on with very little, if any at all, discomfort afterwards. Intuitive operation with an exclusive wraparound finger switch which can be operated with light pressure anywhere along its circumference. This allows maximum comfort and working efficiency, whether in the anterior or posterior of the mouth. The iLase™ is the ideal tool for performing a comprehensive set of 24 soft-tissue and hygiene procedures including gingival troughing for crown impressions, gingivectomies, treatment of perio pockets, sulcular debridement, frenectomies, excisions, aphthous ulcers, hemostasis, exposure of unerupted teeth, implant recovery and crown lengthening. The iLase™ single-use tips are bendable for maximum access to all areas of the mouth. The iLase™ features Biolase’s unique ComfortPulse™ mode of operation. It allows the clinician to deliver laser energy in very short pulses. The result is reduced patient discomfort and a reduced need for anaesthetic.